The following is a collection of information in relation to the death of Jessica Michalik, at the Big Day Out Festival in Sydney, 2001. Cause of death was Hypoxic Encephalopathy due to Crush and Mechanic Asphyxi; due to a crowd related crushing incident on the 26th January 2001. We do not impose personal points of view or opinion on this incident, we simply collect together information. A special thank you to Jim Fidler for the provision of information and guidance. 4- That a National Code of Conduct be adopted by each state and territory, to ensure uniformity of approach to safety issues for large scale events. ” Over the years myself and several others have attempted to get these recommendations looked at. In 2016 I submitted a proposal to Standards Australia for a Crowd Management Standard, in 2017 this proposal was accepted and today 17th January 2018 we had our first planning meeting for HB 183 Crowd Management and Crowded Places (Standards Australia). Special thanks to Tara Hopton Fda, Paul Corcoran OAM for assisting in the proposal and some fine tuning and also to Mick Upton (RIP) for advice and encouragement in persevering. The American nu-metal band Limp Bizkit have pulled out of the Big Day Out music festival in Australia citing safety concerns. “Unfortunately the band performance was of sufficient intensity to provoke unprecedented and ferocious crowd activity in front of the stage,” said the organisers. 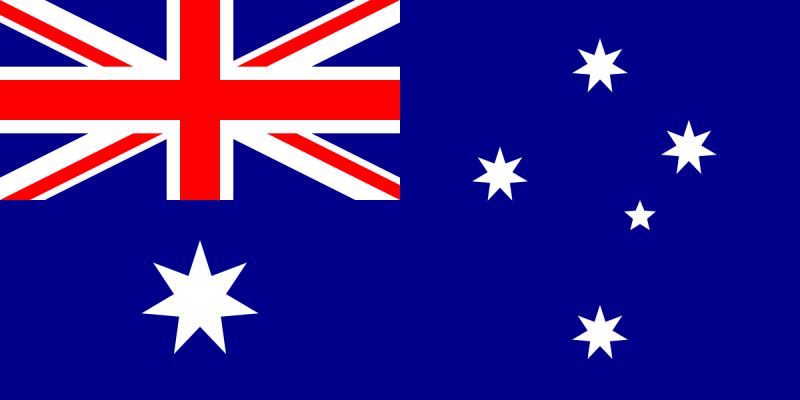 In a statement the organisers said they regretted Limp Bizkit’s decision, saying Australian audiences were looking forward to seeing the band. “The measures proposed by Limp Bizkit were substantial, untested and radical changes to the existing structures and procedures in place for the show as understood by the Australian safety authorities,including the police and planning bodies,” they said. A 15-year-old girl who suffered a heart attack during Limp Bizkit’s set at the Big Day Out festival in Sydney, Australia, last week died on Wednesday (January 31). COMPERE: Tens of thousands of young Australians and their parents have some sombre food for thought after the death of a 15-year-old girl who became trapped among a crowd of people at a rock festival. For those who’ve bought their teenagers tickets to the Big Day Out thinking they’d surely be safe enough, the tragedy will have brought them up short. The girl had a heart attack when she became trapped among a crowd of people near the stage at the Sydney Big Day Out. The industry closed ranks today, distancing itself from the incident until a full coronial inquiry can be carried out but many punters are now asking questions about safety. Senator LUNDY (7:03 PM) —Tonight I rise to talk about the very important issue of the safety and security of young people attending rock concerts and music festivals. Before I go to that, I wish to offer, on behalf of the federal parliament, deepest sympathy to the family and friends of 15-year-old Jessica Michalik. Jessica died tragically as a result of being involved in a crowd crush at the Sydney Big Day Out last month. It is extremely hard for all parents of children who attend concerts to comprehend this senseless loss of a young life. Equally, it is extremely hard for a young person to lose a good friend in such tragic circumstances………..
A Limp Bizkit tour manager has told an Australian inquest of the “absolute crowd mahyem” before the death of a fan at a festival last year. Chris Gratton said organisers and promoters behind the Big Day Out festival were to blame for the death of a 15-year old girl crushed during the band’s set. “This is one of the scariest things I have ever seen – I have been doing this for over 12 years and I have never, ever seen something so frightful,” Gratton said, after being shown video footage of the night. “It would have been a simple matter for the promoters to have killed the band’s sound and to have taken immediate control of the sound and lighting systems in the arena,” he said. He said security staff “just stood back and did nothing” when a crowd of up to 50 people collapsed yards from the stage. *video is included to allow you make comparisons. Having worked as a music photographer for over 20 years, I have been in more than a few mosh pits. Or rather, I should say, I have been in front of a few mosh pits. Photographers are regarded as lucky because they get to be down the front in the narrow area between stage and mosh. Sometimes, it is lucky to be down there. Great views of a great show. And sometimes it’s just dangerous and crazy down there. This was the most dangerous and the craziest show I’ve ever attended. Fifteen year old Jessica Michalik died on this day…………..
Amelia Tomiki tells an inquest how she fell on top of tragic Jessica Michalik due to a 70,000-strong surging crowd…A girl in the moshpit during LIMP BIZKIT‘s performance at this year’s tragic BIG DAY OUT concert has told the inquest how she became trapped under an avalanche of enthusiastic fans. Nobody employed by the Big Day Out, including its founder and promoter, Ken West, had any formal qualifications in crowd control, safety or risk assessment, a coronial inquiry heard yesterday. An insurer has sued rock band Limp Bizkit to try to avoid paying legal fees arising from a 16-year-old fan’s death at the Big Day Out in Sydney in 2001. 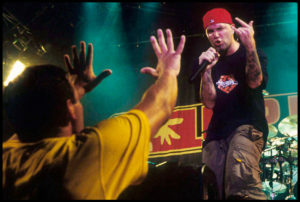 Limp Bizkit’s Fred Durst has been asked what he thinks about the removal of the D-Barrier system at the Big Day Out festivals in Adelaide and Perth this weekend. Durst was conducting an interview with spa [link expired] to promote the upcoming Soundwave Festival, however the interviewer put him the spot, asking him what he thought of the decision to remove D-barriers at the smaller BDO dates. The following is a PDF created from the website of the late Mick Upton. This details Micks input and thought on the incident at Big Day out. This is a link to a PDF go the original Coroners Report. Un-edited or with narrated through others. This is a large file, so make take some time to open.